Level: Moderate with electric bike, from 2 to 5 hours per day. Meet by 14.30 at Montélimar. Baggage drop-off for transfer to your accommodation. 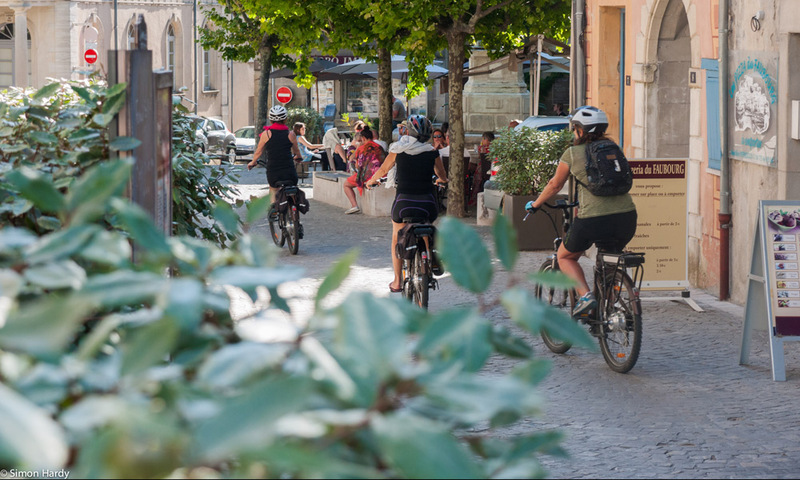 The first step on your electric bikes and start your 25km ride, in the heart of the Drôme Provencale, from Montélimar and its nougats until Grignan and the castle of the Marquise de Sévigné. Arrival at the hotel in Grignan in the evening. Discover the Mont Ventoux on the horizon that becomes your new cue point. Tasting break of the Cotes-du-Rhone and arrival at Nyons, typical village of the Drôme Provencale, touted for its air quality and its olive. Nyons Free visits: Vignolis (oil, olive, wines A.O.C (Registered Designation of Origin)), vinegar factory La Para (fine Vinegars of the Drôme Provencale), oil mills (regional products), or visit of the distillery Blue Provence, which continues the tradition of distillation of lavender and aromatic plants since 1939. Your guide will take you to meet a producer of wine, specialist of the agreements "food and wine", for a panoramic lunch up in colours and flavours (not included). Dinner and overnight in Nyons. 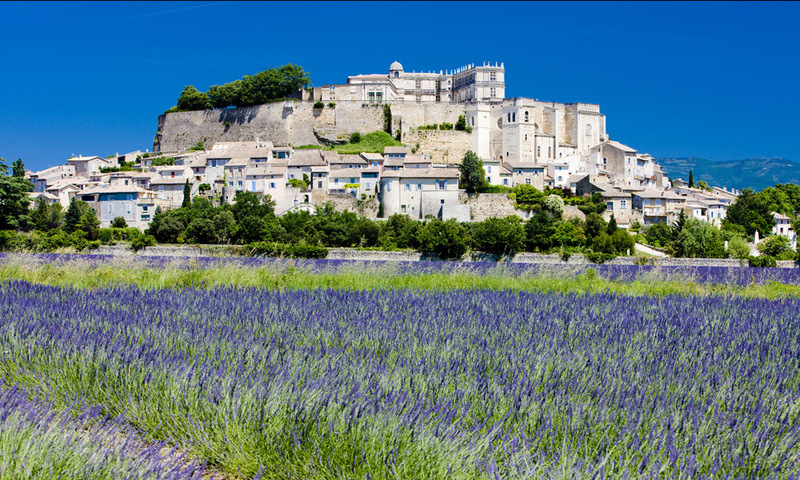 Morning the circuit takes you along villages such as Mérindol-les-Oliviers, Mollans-sur-Ouvèze and its two feudal castles. The passage in the gorges of Entrechaux with a refreshing break. The "local flavours" picnic and last step, you will arrive at Vaison, more known for these vestiges Gallo-Romans and its wines. It pointed out the limits of our Lavender-growing region, and also the end of your stay. 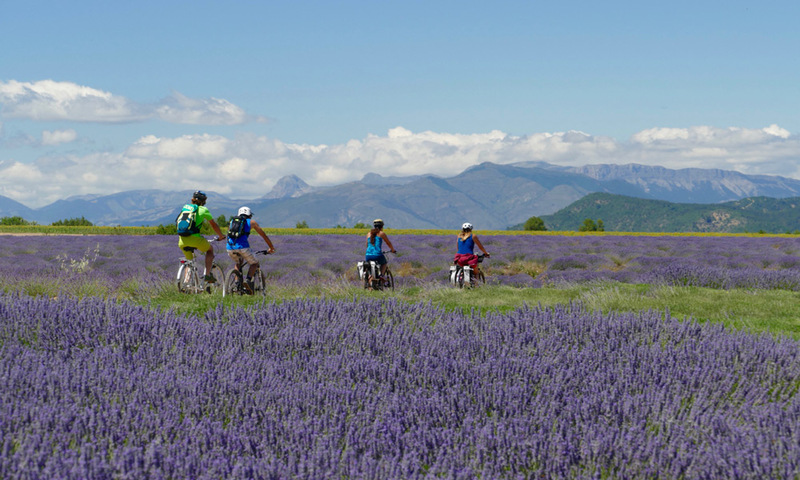 Return with luggage at from Vaison (private minibus in mid-afternoon) to Montelimar.